Once you’ve decided you want to start this hobby, and before you run out to the local hobby store, or order a bunch of parts on a RTF helicopter online, my advice is this. Learn to fly WELL in a safe place. Consider a Ready To Fly (rtf) model. Use common sense, and then some. Learn to Fly – I’d recommend you learn to fly on a simulator before you fly in real life. A mistake in the sim and you hit the restart button. A crashed heli in real life mean time and money to get it back up and running, and drones have potential to harm people and property in a bad crash. Once you’ve learned your orientations, then move onto flying safely in an empty field, far away from any people or other things you could crash into (like trees). 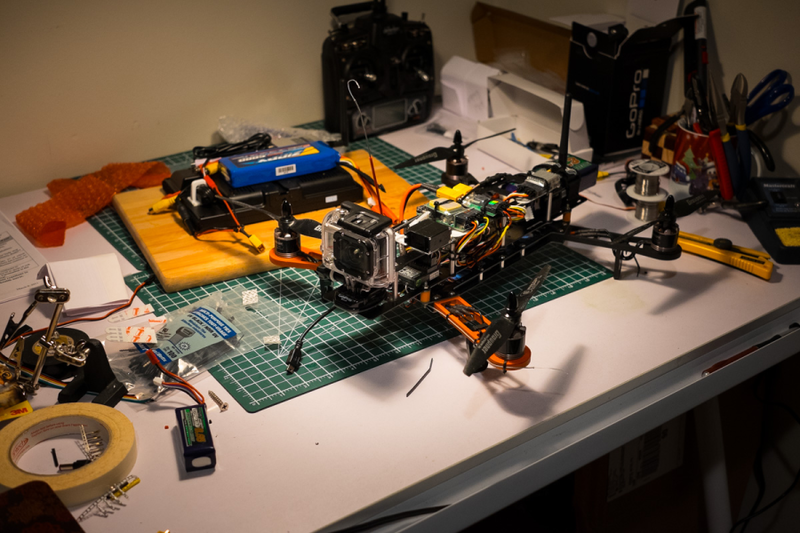 Consider an RTF model – Building a drone from scratch is a big job to tackle. If you have no experience yet building things, and you haven’t used a soldering iron before, you might want to consider a ready-to-fly version built by a reliable vendor. A crapily built helicopter is an accident waiting to happen. If you’re sure you want to build it yourself, then awesome. Just make sure you do your research before you get started. Watch videos of other building online. Make sure you know how to make clean solder joints, and that you understand all the lingo and theory that comes along with the teritory. (resources here). It’s not ‘Just a toy’- A fully built drone can weigh several pounds and fly at potentially dangerous speeds (like 60km/h or more). Don’t fly beyond your limits. You don’t want an accident on your hands, and a handful of wreckless pilots are ruining this hobby’s reputation. Don’t fly above traffic or people. Consider what whould happen if you heli suddenly lost power and fell out of the sky. Where is it going to land? Catastrophic failures are a real possibility so always keep that in the back (or front) of your mind.